I should say there were two good things. 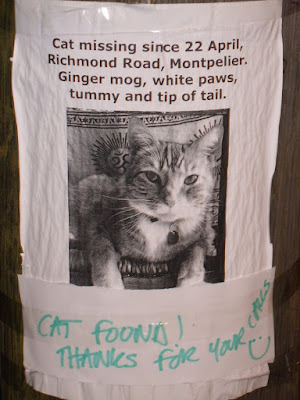 The cat was found, and the owner thereof remembered to tell the neighbors. Both unusual, and worthy of celebration.